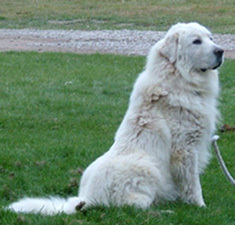 Search and adopt a Great Pyrenees near you. Confident, gentle, and affectionate. Territorial and protective of his flock or family when necessary. Both patient and tolerant, independent , strong willed and somewhat reserved, yet attentive, fearless and loyal to his charges both human and animal.